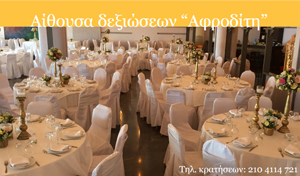 Hotel Cavo D 'Oro is located in Piraeus, in Kastela, overlooking the sea and the magnificent view of the Saronic Gulf. For almost 4 decades since 1973, which was first launched it off until today, a landmark in the history of Piraeus. Guests have the opportunity to enjoy their stay in a quiet and comfortable environment with excellent service, and a unique aesthetics place with classic style and design house that impresses from the first moment. The hotel is just 2km from the center and the port of Piraeus, where you can go to the local bus service and where you have access to train, metro and suburban rail. It is also 2km from the intersection of N. Faliro, stage Karaiskaki and SEF, which is associated with the National Road Athens-Lamia and have access to tram, metro and train local transportation. We are waiting for you and we ll be happy to accommodate you! !